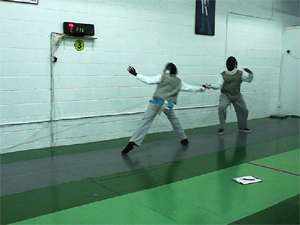 “Clash of the Steel” was created by Certified Foil fencing Instructor Moses Sistrunk, Jr. as a way of giving novice fencing students an opportunity to compete on a fencing facility against fencing students in other organizations who are on the same level. Certified referees and directors facilitate the bouts and equipment is provided for them. The top group of competitors is rewarded with medals and trophies but most importantly they are rewarded with the experience.